»Culture & Arts»Dublin Pride Festival & Parade 2018: Tomorrow Thursday 21st June to Saturday 30th! 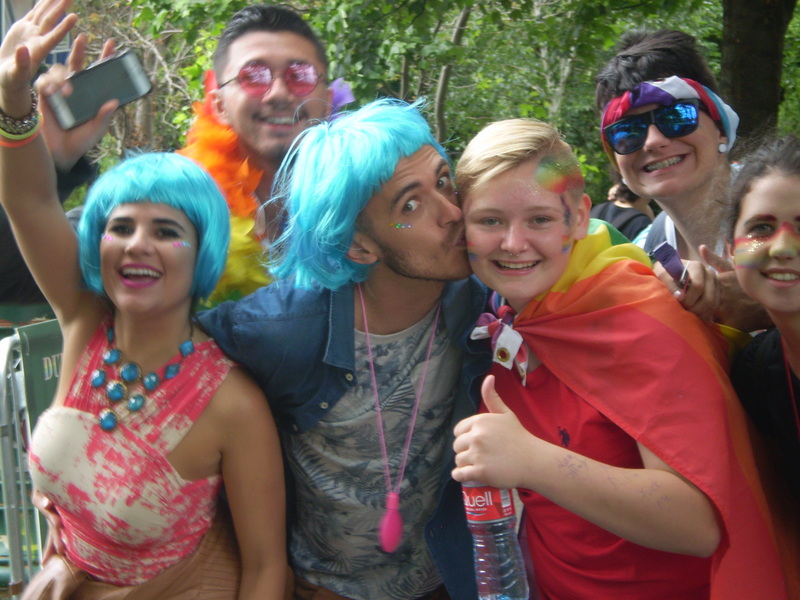 It’s that exciting time of year again, when you dress up in your Pride Day best, and make your way to St Stephen’s Green in Dublin for the annual Dublin Pride Festival and Parade! This year’s festival, with the theme, We Are Family, runs from tomorrow Thursday June 21st to Saturday June 30th. The Pride pre-Parade festival starts at 12noon, and the Parade begins at 2pm on Saturday, June 30th, 2018. The high point of the festival is, of course, the Dublin Pride Parade (led this year by Grand Marshal, Sara Phillips) which will take place on Saturday June 30th, 2018. Participants will gather from 11am, with music and speeches from 12noon until 2pm, and the Parade begins at 2pm sharp (assemble at St. Stephen’s Green South). The official Pride After-Party takes place on Saturday 30th at Opium, from 7.30pm, with Samantha Mumba, (tickets from €15 available from Eventbrite.ie) with the Mother Pride Block Party 2018, also on Saturday from 4pm, at the Tivoli, Dublin 8, (tickets from €16.61, also from Eventbrite). And don’t forget the many Dublin Pride events happening at Pantibar from Thursday June 28th to Sunday July 1st! 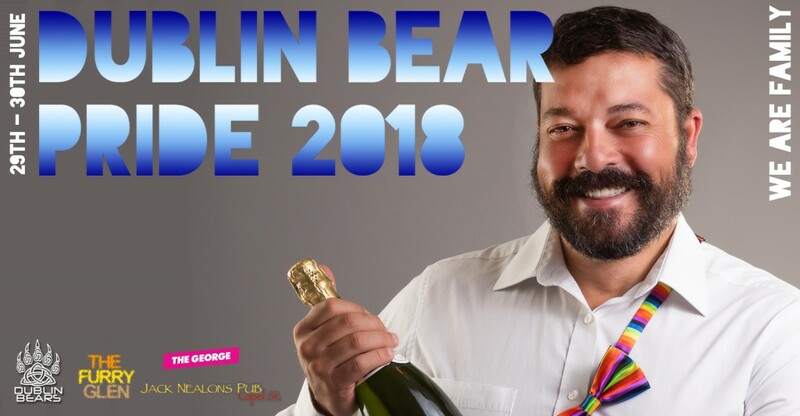 And don’t forget that DUBLIN BEAR PRIDE 2018 happens on 29th and 30th June! 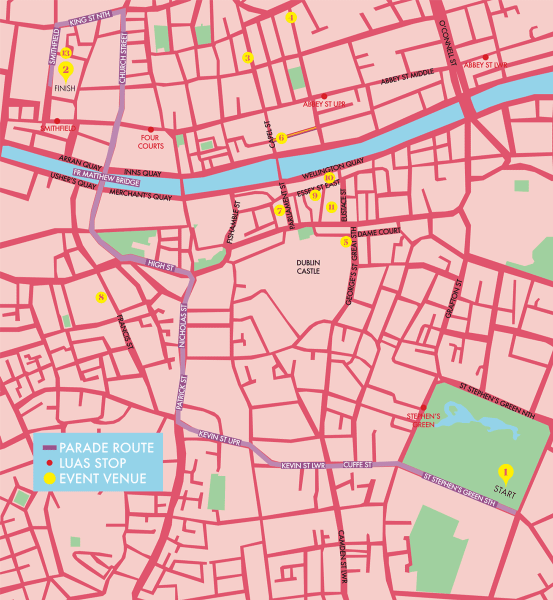 This year, the route will follow last year’s parade route, starting off at St Stephen’s Green South, heading towards Kevin Street, then heading south towards the Liffey, crossing Fr. Matthew Bridge, up Church Street, and then turning into Smithfield. Have a great and safe Dublin Pride!